The first printed-in-British Columbia book was a template for the administration of law called The Rules of Practice and the Forms to be used in the Superior and Inferior Courts of Civil Justice of Vancouver Island, printed in 1858 by the Victoria Gazette. Although Judge David Cameron is not always credited as being its author, he undoubtedly played an integral role in the production of the first book, having been approved to act as Chief Justice in 1856. He published a slightly expanded guide to Supreme Court practices in 1865, published by the Vancouver Printing and Publishing Company. Born in Scotland in 1804, Cameron was originally a cloth merchant in Perth, but moved to Guyana to grow sugar cane. There he met and married the sister of James Douglas, named Cecilia. When Douglas became the first Governor of the colony of Vancouver Island, he summoned Cameron to manage coal mines for the Hudson's Bay Company in Nanaimo. Upon his arrival, he was also appointed as a temporary justice of the peace. In 1853 David Cameron built his house at Belmont, now the site of Fort Rodd Hill National Historic Park, overlooking Esquimalt Harbour. By 1856 he was formally accepted as Chief Justice of Vancouver Island despite his lack of training in the law. In 1858 he signed his name to a copy of The Rules of Practice etc. This 74-page text, advertised in the Victoria Gazette on November 13, 1858, appeared just prior to Alfred Penderill Waddington's better-known Fraser Mines Vindicated. An expanded 90-page edition was printed in 1865. 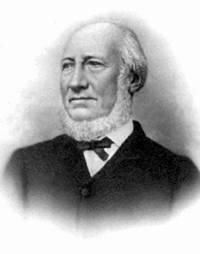 After David Cameron served as the first Chief Justice from 1854 to 1858, he served on the Council of Vancouver Island from July, 1859 to August of 1863. Cameron Lake on the road to Alberni is named for David Cameron. He and his wife Cecilia had a daughter named Edith after whom Edith Point on Mayne Island is named. He died on May 14, 1872. The first bookstore also opened in 1858. T.N. Hibben's stationer's shop was operated by Thomas Napier Hibben, from North Carolina, who had learned printing and bookselling in San Francisco. Hibben also became a noteworthy publisher. He published the first 'major' B.C. book in 1862 called Dictionary of Indian Tongues, Containing Most of the Words and Terms Used in the Tshimpsean, Hydah, & Chinook, With Their Meaning or Equivalent in the English Language. It's a rare book that is usually sold for more than $3,000. [Alan Twigg / BCBW 2003] "Early B.C." "Publishing" "1850-1900"